Wow, am I tired today! I don’t know if it’s that I had something to do after work almost every night this week or if it’s knowing that the next two weeks are only four-day work weeks for me(yay!). 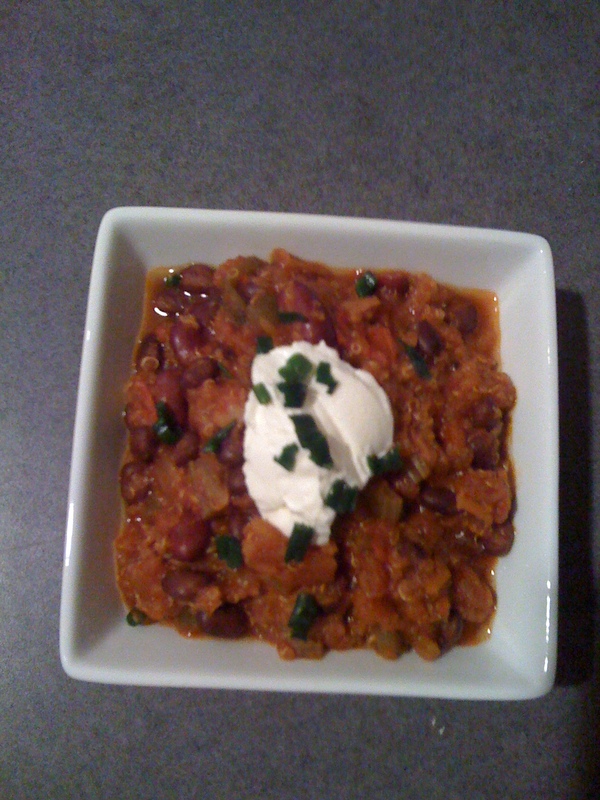 Since I’m so exhausted, I’m glad I made this week’s recipe earlier on in the week. After I started eating better, one of the things I missed eating was pizza. There’s just something about the combination of cheese and bread that is so delicious. That got me thinking that other people (trying to eat healthy) probably missed eating pizza as well, and that there might be some healthy recipes out there. 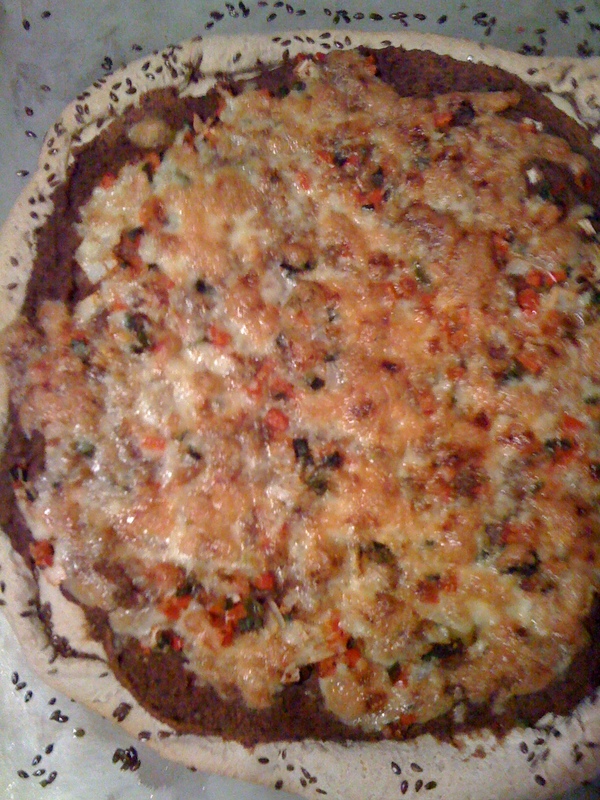 I browsed the internet and came across a recipe for a vegetarian Black Bean Nacho Pizza and another recipe for homemade pizza crust on the Eating Well website. I think the end product turned out very well and it made enough that I had lunch for the rest of the week. There are a couple of things I would do differently, like splitting the dough recipe in half to make one pizza since it wasn’t quite thin enough for my liking. I would also add more toppings, such as corn, mushrooms, and homemade pico-de-gallo to add more flavor and color. Turn the dough onto a lightly floured work surface. Knead until smooth and elastic, about 10 minutes. (Alternatively, mix the dough in a food processor or in a stand mixer with a dough hook. Process or mix until it forms a ball. Continue to process until the dough is smooth and elastic, about 1 minute more in a food processor or 4 to 5 minutes more on low-speed in a stand mixer.) Place the dough in an oiled bowl and turn to coat. Preheat oven to 450°F for at least 20 minutes. Roll out the dough and place on a flax seed-dusted inverted baking sheet, using enough so that the dough slides easily. Slide the dough onto the preheated baking sheet and cook until the bottom begins to crisp, about 3 minutes. Remove the crust from the oven using a large spatula (or two) and place it uncooked-side down on the baking sheet, making sure the underside of the crust is completely coated with flax seed. Quickly add the toppings and slide the pizza back onto the baking sheet. Continue baking until the toppings are hot and the bottom of the crust has browned, 12 to 15 minutes. Hopefully, you guys like this recipe as much as I did!